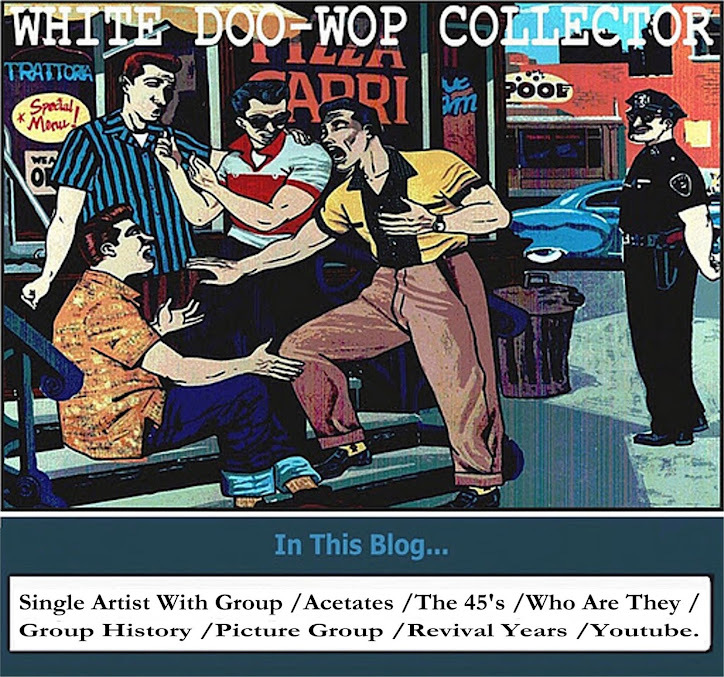 WHITE DOO-WOP COLLECTOR: THE TWISTERS... Doo Wop Or Not Doo Wop??? 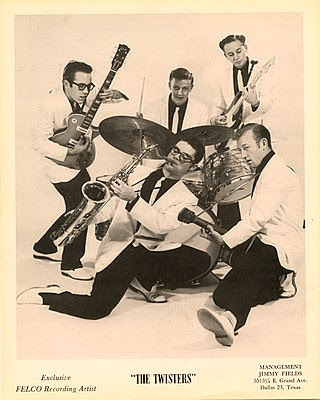 THE TWISTERS... Doo Wop Or Not Doo Wop??? Band from Dallas,Texas.consisted of Bobby Boatman,Robert Harwell Jr..Red Brenson,William Mitchell and Jimmie Evans. I think they only recorded for Felco Records in 1959 the instrumental sides_Count Down 1-2-3/Speed Limit. They recorded for labels as Apt,Capitol,Campus,Felco or Sunset Records. LISTEN_Pretty little Girl Next Door.Apt Records-1960. The Twisters on Apt is a black group.The Twisters on Capitol is also a black group - featuring Arthur Crier, harold johnson, floyd Mcrae and carl spencer.Aka the halos. That's my father on saxophone!